Don't need to read the title all again.Yes! Its fried porridge that we are talking about here. Having porridge throughout my living, I have not even hear of frying porridge. I guess like me it would have stir your interest and wonder how does it taste like. 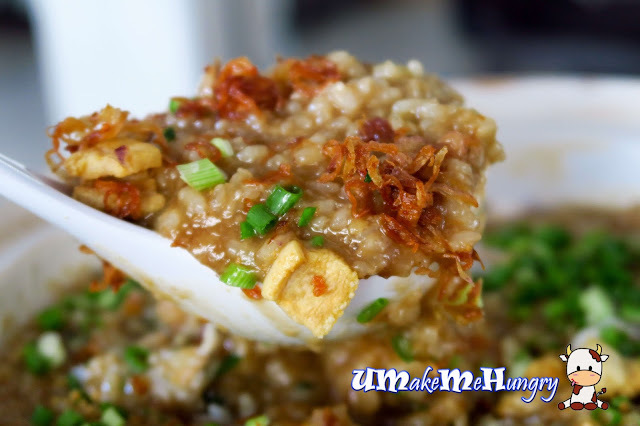 Fried porridge is originated from Malaysia its good that we can find them in Singapore in Macpherson Road. 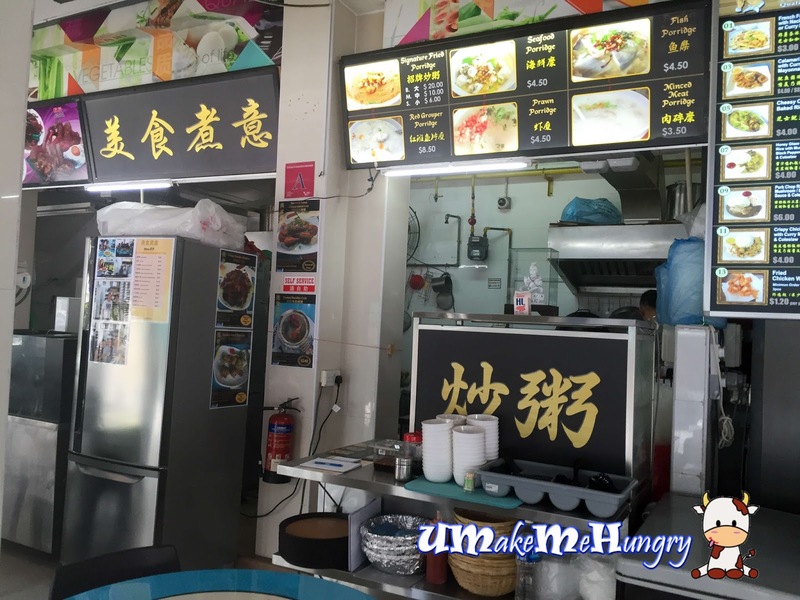 Mei Shi Zhu Yi is housed in Delicious Coffeeshop and offer 6 kinds of porridge including its signature fried porridge in claypot. They also sell other items like fish cakes and salted fried chicken. Since we were there for their Fried Porridge we ordered a medium portion at $10. 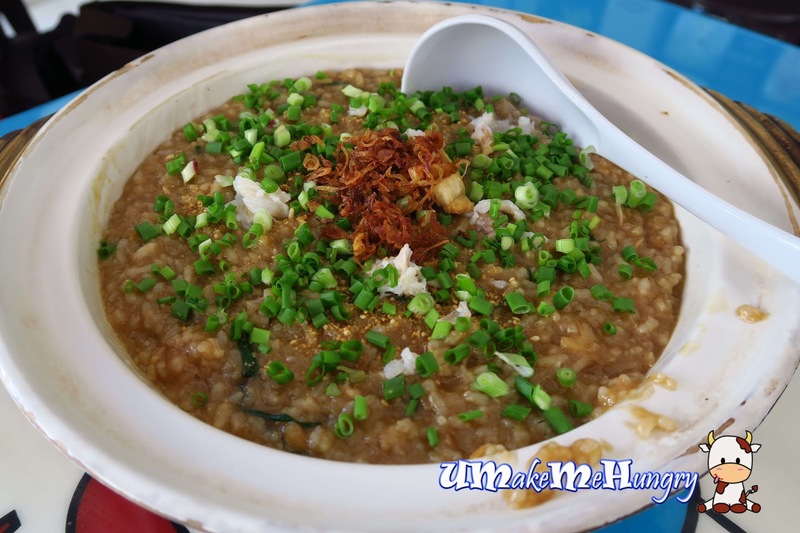 The porridge was served in a claypot and topped with garnishings like fried shallots, chopped spring onions, crab meat. The crab meat used was not from those processed crab stick and I get to bite some of the unremoved shells. The way of serving definitely reminds me of claypot rice especially when the porridge was in claypot and was mostly brown in color. I can't never imagine the idea of incorporating frying to porridge especially when they are water based. To my surprise, all my idea of plain porridge had been replaced by the beautiful sight of the scoop of smoky, unami flavours of fried porridge. Texture was more like gruel, with pork lard accentuated the plain porridge taste, strands of cuttlefish adding on to its taste and even little chop bits of yam could be found inside. The dried shrimps on the other hand had also added sweetness to the porridge broth taste. I went there without much expectation as I had no idea how exactly Fried Porridge would taste like and it turn out better than what I had thought. In my opinion, I felt that they could have a stronger taste to make it perfect!